@Leirin: Thanks~ I always try out new things when colouring! 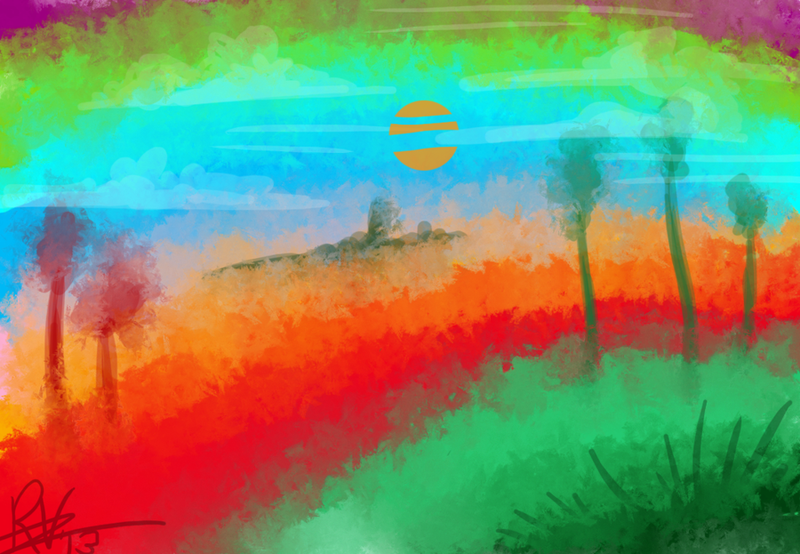 @TDIT: Gumball's a bit weird, but yeah, the art style's really cool! Honestly, I do not care about MLP as much as I used to, but that's interesting. I'll admit I forget her lighter-coloured belly, but that nose's just a bit of artistic license. I didn't look up any references, heh. As for art - I'm working on my own custom shirt now. It's gonna be pretty epic. It involves cartoon!DKC. But yeah, if you like(d) ponies, you're gonna love Littlest Pet Shop! As I said, it's more sitcom than high fantasy, so if you go in with that expectation and an open mind, I think it'll grow on you (just like it did for me). Haha, I'm sorry. |D It's just that they're everywhere, not a place seems pony-free and it kinda grates my nerves. I still like 'em, just not... as much, you see. (And some of the less friendly parts of the fandom... scare me.) I still think Fluttershy is adorable though, and if people like it, then that's fine with me! I won't harass anyone for liking it. 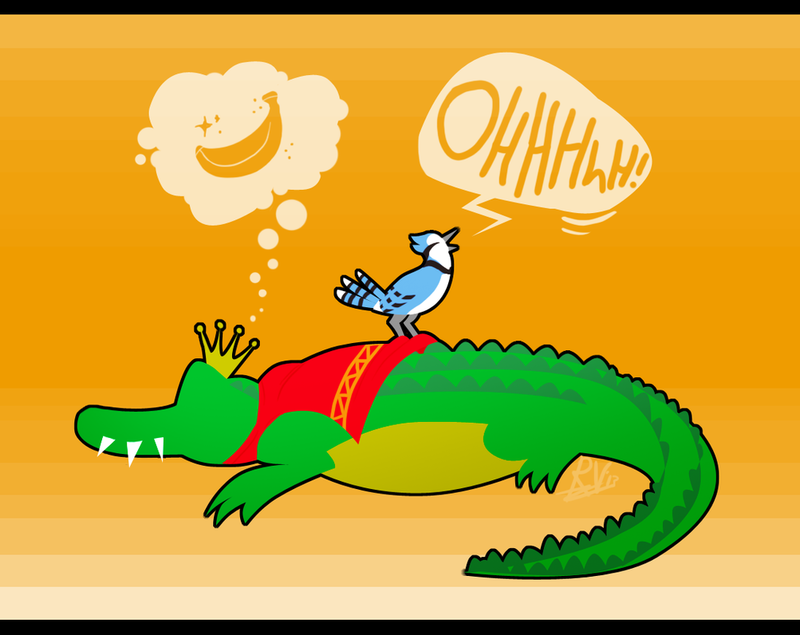 But yeah, I'm still having a blast in Kongo Bongo, where the banana trees grow tall, monkeys have relationship issues and fat alligators cause a ruckus daily, yo. But I'll definitely check out LPS! I like sitcommy things and I always try to have an open mind. 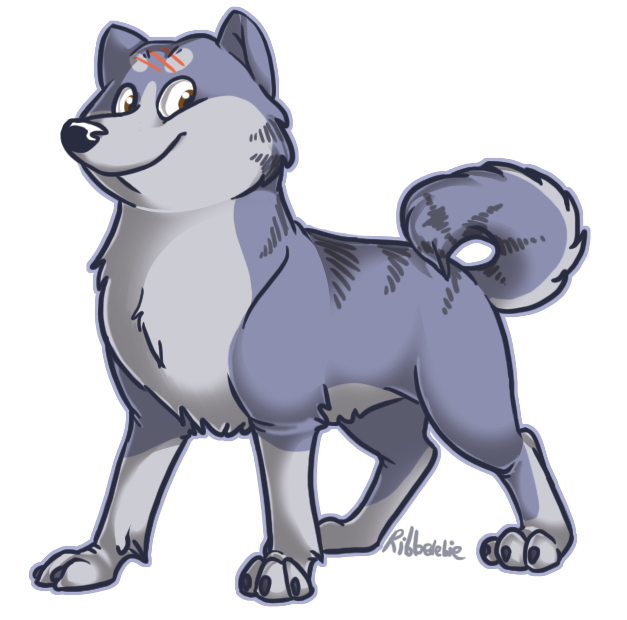 This fella here is Gin (Japanese for 'Silver') and he's the main character in the anime Ginga Nagareboshi Gin. It's a cool show, but contains a lot of blood and mature themes, so it's not advised to watch if you have a weak stomach. I drew him after I had re-discovered some soundtrack pieces from it and its sequel. I love this drawing! Your reimagining of Gin is awesome! 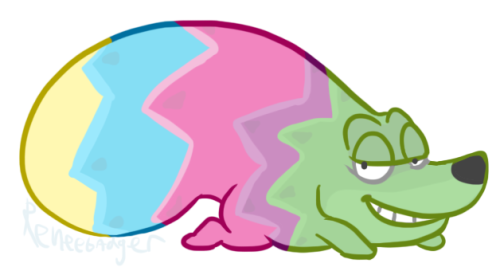 While I haven't watched the show my art community DisneyCreate has a number of Gin fans, and with it, fanart. The shading looks great, too! Overall, it's a-plus cute! I might try out Ginga sometime... of course, if it's violent that's a bit of a concern to me, considering my favorite anime show of the few I've seen stars a bunch of adorable little hamsters. But nonetheless, it's a great drawing! Thanks!~ And yeah, it's a bit over-the-top with the gore. Funny when you consider I kinda grew up with watching it (I was about 11 first time I saw it) it's a wonder I didn't get traumatized, haha! I still like it though, even though nowadays I prefer other cartoons. 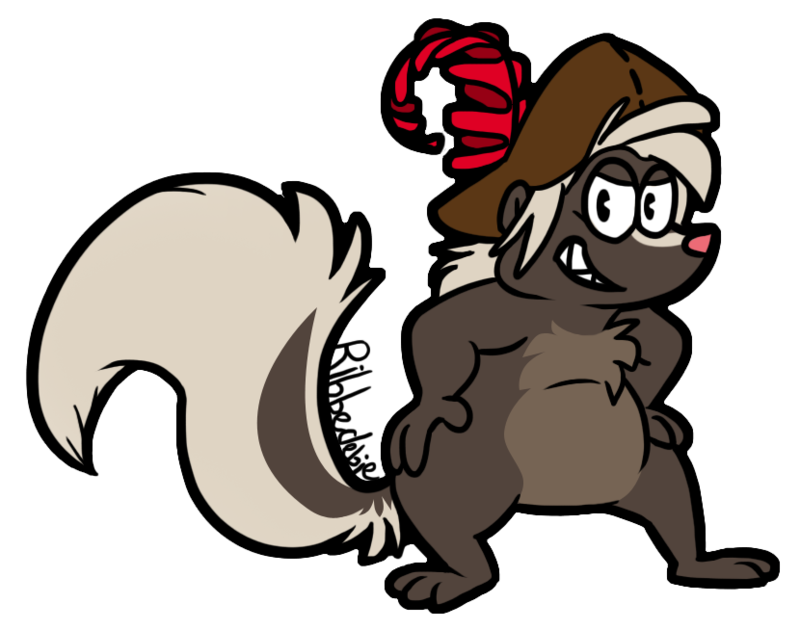 I do a lot of animation recently, one of my most recent ones is a simple run cycle of Rigby, the raccoon from Regular Show. The reason I chose him is because he had the endearing tendency to run on all fours in the first few seasons. He doesn't do so anymore and it makes me eternally sad. Used Preston Blair's book on animation as a reference. And this is a very surreal depiction of my biggest inspirations and favourite characters. Guess who! 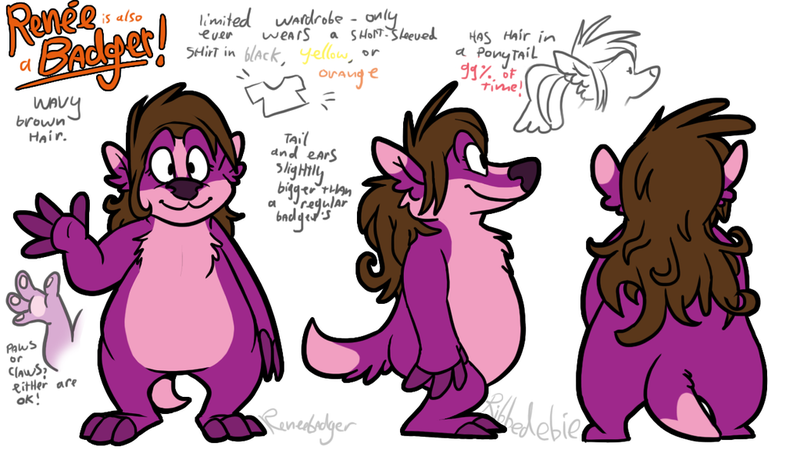 The Rigby animation is tooooo cute X3 I'm hugely impressed with your animating skillz, Badger! And your drawings look so undeniably cool! Keep up your awesome work! Thought I'd update my topic too since it's been a while. Been obsessed with Viva Piñata recently, so a lot of that! 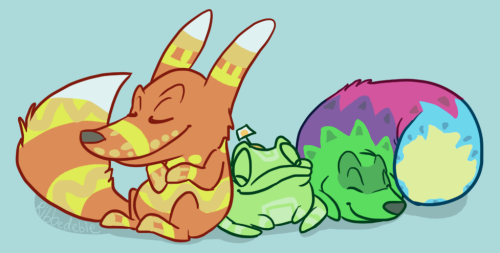 I dunno, the series is just so happy and colourful! It's cool, so I draw it all! Yay! No points for guessing who my favourite characters are. 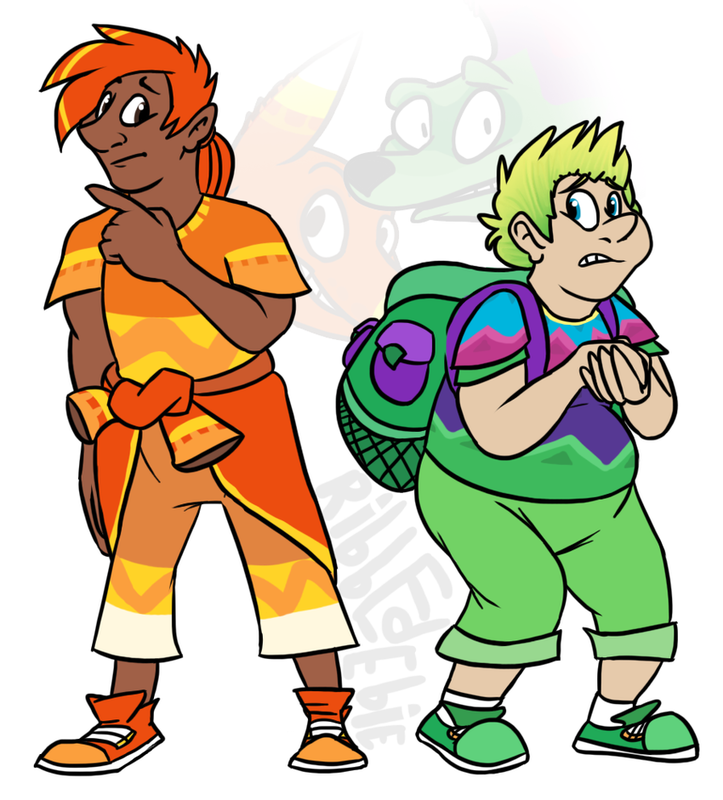 As an extra, here's my re-imagining of the two of them - as humans. I'm actually really proud of this one, seeing as I'm still practicing on drawing humans... a lot. Alright, enough with the piñatas. Here's Fluffclaw again! 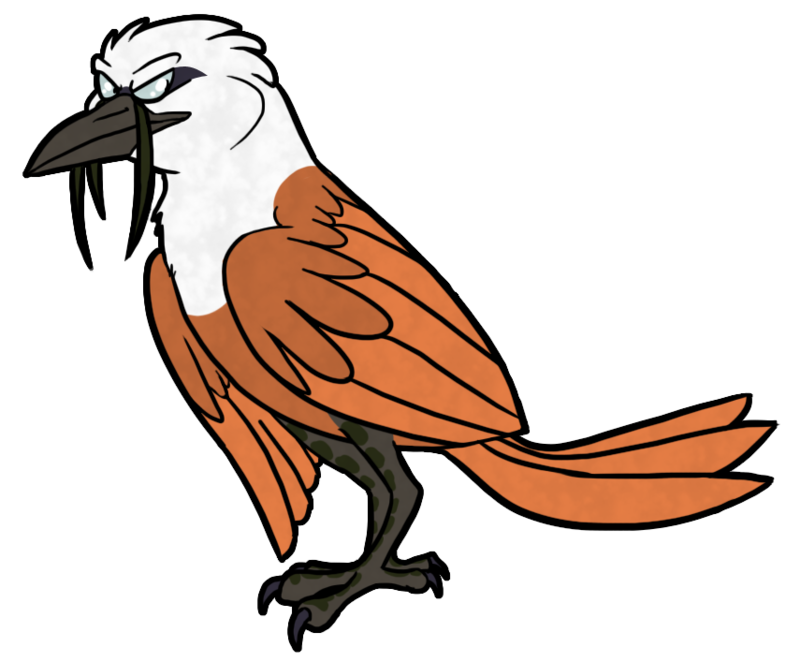 And what about a three-wattled bellbird? This is an actual existing animal! 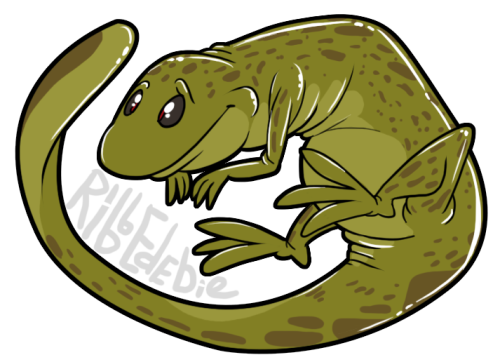 Another actual existing animal, this time one with a funny name - a hellbender! 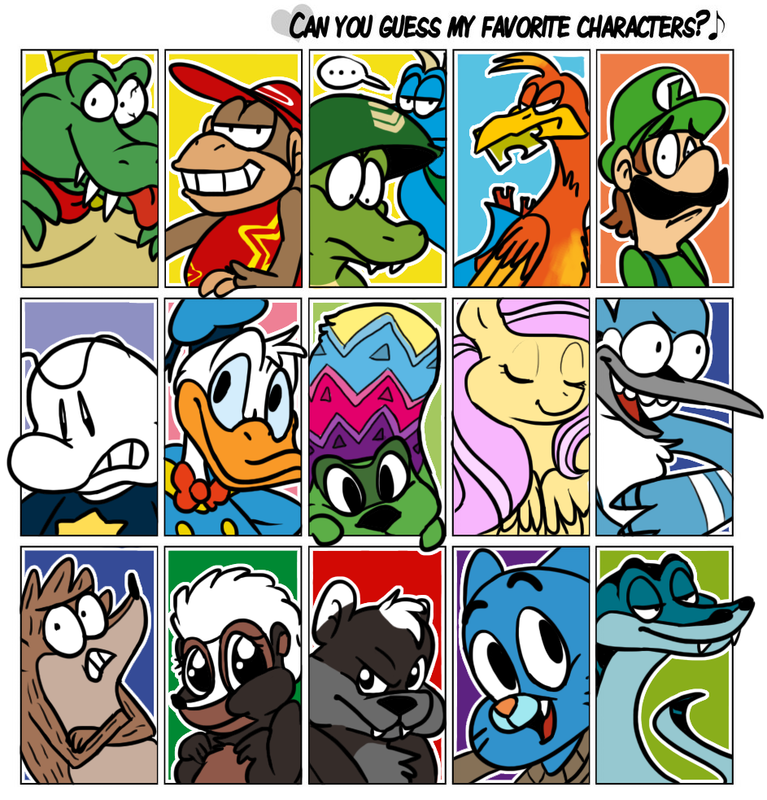 Also, finally, here's a meme I filled in, depicting my favourite characters. Super-cute stuff you've got here, Badger! I love it all I'm glad that my comments mean something to you, btw. 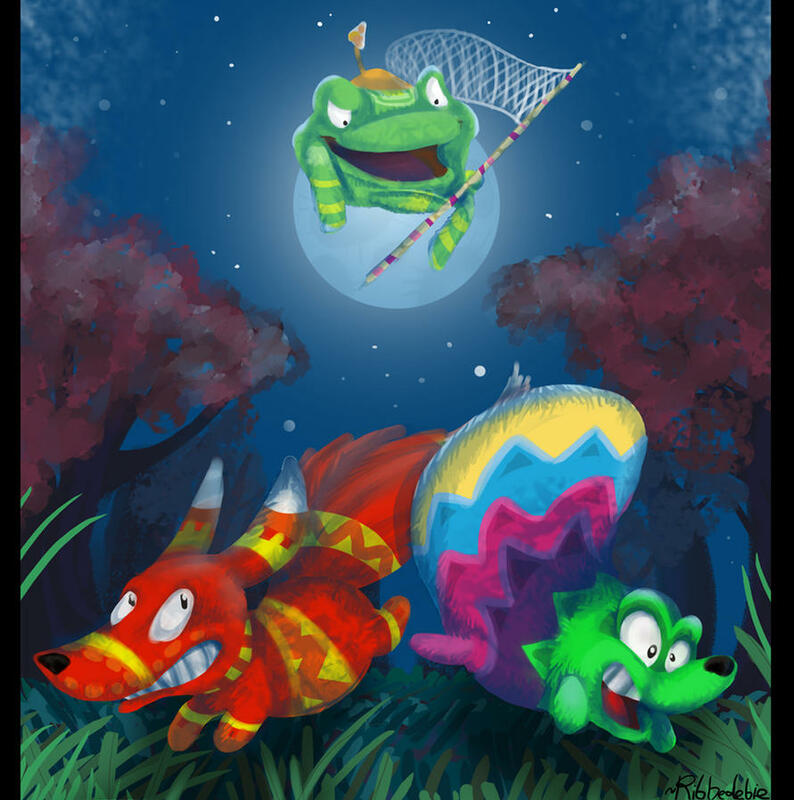 I'm hugely impressed by the quality and the style of all of your Viva Pinata pieces especially; *OWP adds Viva Pinata to her long list of shows she needs to start watching* I always enjoy seeing stuff from you! Here's the squirrel cast of Urchin of the Riding Stars, from the Mistmantle Chronicles, one of my favourite book series which I recently re-read. I tried to make them all look distinctive, for example I messed around with their colours, facial features, and ears to make them all different. As if they would be in a cartoon or something. I think a cartoon based on these books would be great, anyhow. A drawing I made, honouring my favourite Rare franchises. Rather than being upset about Rare's current state, I prefer to look back on the good things they did make. 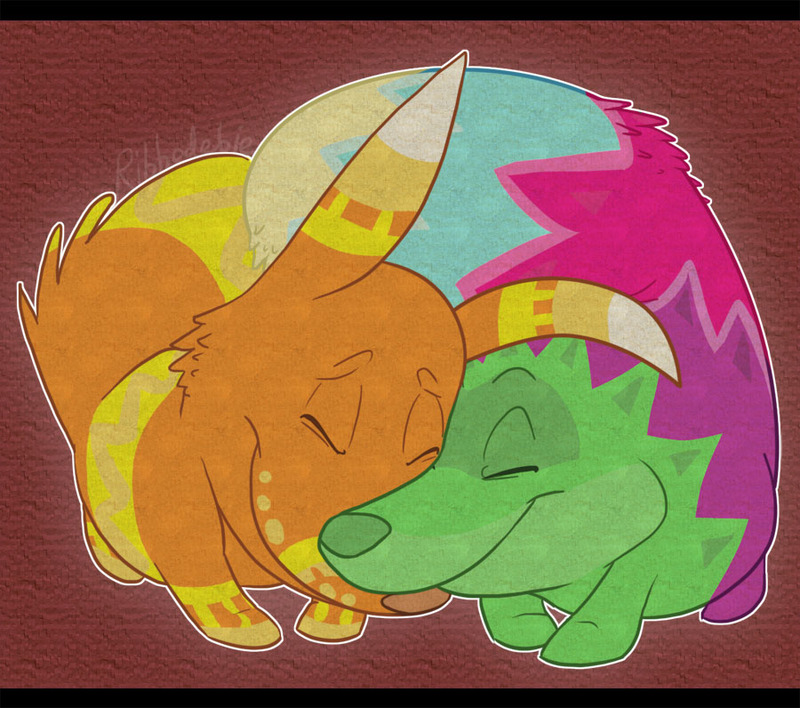 And goodness me, Banjo-Kazooie, Viva Piñata, and Conker's Bad Fur Day are amazing. I believe they're still following in Diddy Kong's footsteps. 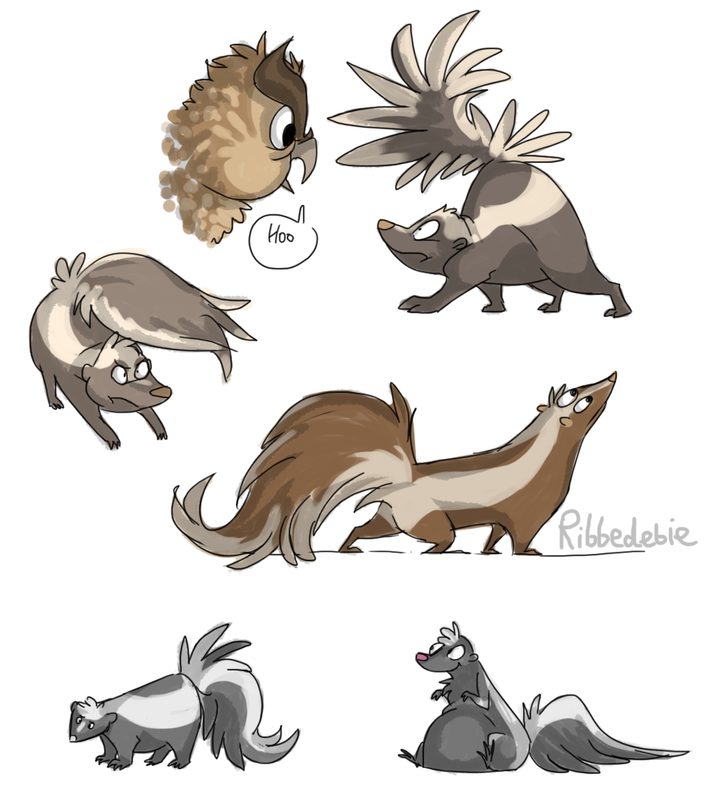 A lot of cartoony skunks! That's all there is to it, really. I became inspired after reading The Art of Monsters University. Yeah, almost forgot about Fergy here. Also, a Banjo-Kazooie animation I made a while back! Well I think that's it for now! 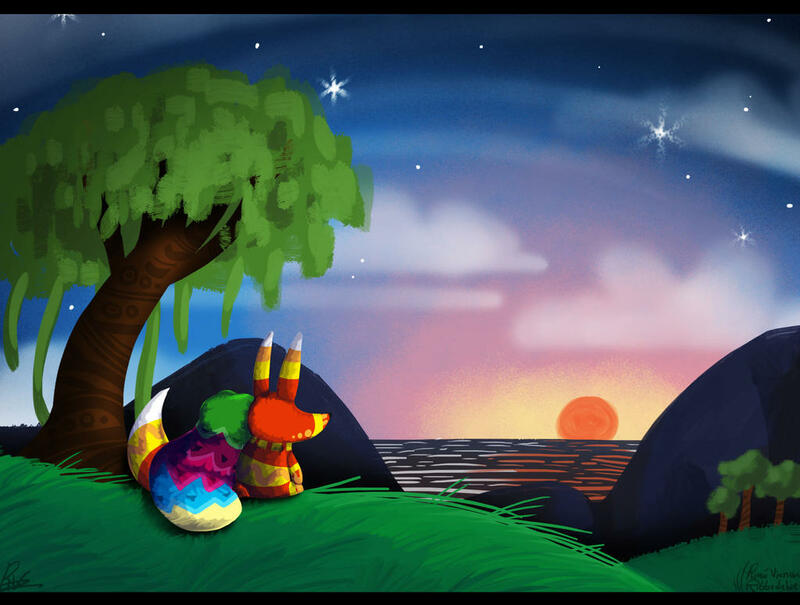 Majorly awesome art update, Badger! Ah man, you draw such great animals! Your animation looks great, too! And the effects on the Rare pic are super-cool! Great work again!